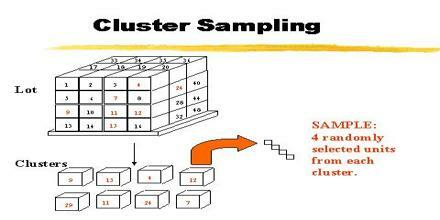 Cluster Sampling is a type of sampling method, which is a technique that generates statistics about certain populations. It is often used in marketing research. It has a specific format required to obtain an appropriate sample, and though this sampling can help accurately gauge some information. It is used frequently in business and other applications. Cluster sampling is used to estimate high mortalities in cases such as wars, famines and natural disasters.